BANGKOK - Seizures of high-purity crystal methamphetamine have surged more than tenfold in Thailand over the past 2 years, statistics show, a stark indicator of the growth in industrial-scale production of the stimulant in neighboring Myanmar. Myanmar's illicit labs also pump out tablets of meth mixed with caffeine, commonly know as "yaba", or crazy pill, in the Thai language. The tablets are popular with low-paid workers in grueling jobs and poor recreational drug users across Southeast Asia. 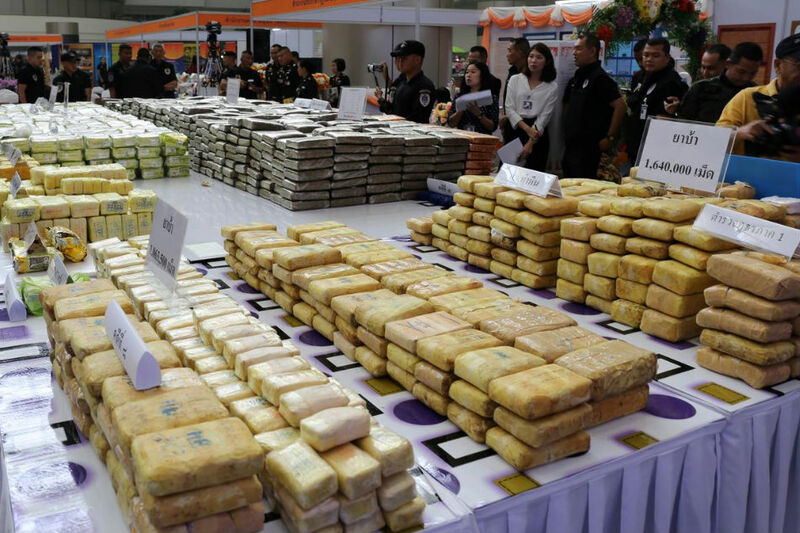 Thai authorities seized 516 million meth tablets in 2018, more than double the previous year and 4-and-a-half times the 114 million pills captured in 2016. According to an ONCB briefing document reviewed by Reuters, 99.92 percent of the crystal meth seized in Thailand in the first 6 months of 2018 was 90 percent pure or higher.